Is your car, van or truck a workplace? What type of fire and safety equipment do you need in a work vehicle? We all know what Work Health and Safety (WHS) control measures we need to put in place for our workshop, office, warehouse, factory or shop. But what about vehicles such as cars, vans and trucks? This article is our recommendations on what you should do with these vehicles. … a place where work is carried out for a business or undertaking and includes any place where a worker goes, or is likely to be, while at work. This definition clearly states therefore that any vehicle is a workplace. While many organisations clearly identify trucks as a workplace a sales rep or manager’s car or a tradesman’s van are often overlooked and it will be these that we will focus on. ensure that an adequate number of workers are trained to administer first aid at the workplace or that workers have access to an adequate number of other people who have been trained to administer first aid. For office based vehicles this would include a complying First Aid Kit and as the driver is often alone in the vehicle, basic first aid training. 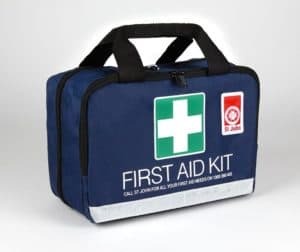 For tradesman and service vans the first aid kit requires additional equipment due to the higher risk associated with the work being undertaken. These first aid kits must also be maintained and out of date or used products replaced. This is often best done by a single person or outsourced to a specialist provider. Fire & Emergency Services SA does offer a yearly inspection of first aid kits as part of our programmed services. These scenarios should be integrated into the Emergency Plan. The user of the vehicle should be trained in the application of these procedures. This should be formal training every 2 years and drills every 6 months. The emergency equipment, such as fire extinguishers must also be maintained. This is often best done by a single person or outsourced to a specialist provider. 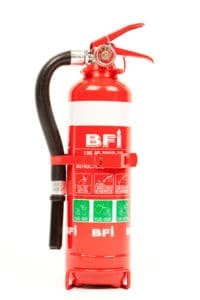 Fire & Emergency Services SA does offer a 6 monthly inspection of fire extinguishers and other emergency equipment as part of our programmed services. The WHS Regulations require an organisation to provide its workers with adequate PPE. As a minimum this would include a safety vest (day and night type) for moving around the vehicle while on the road as well as a torch. 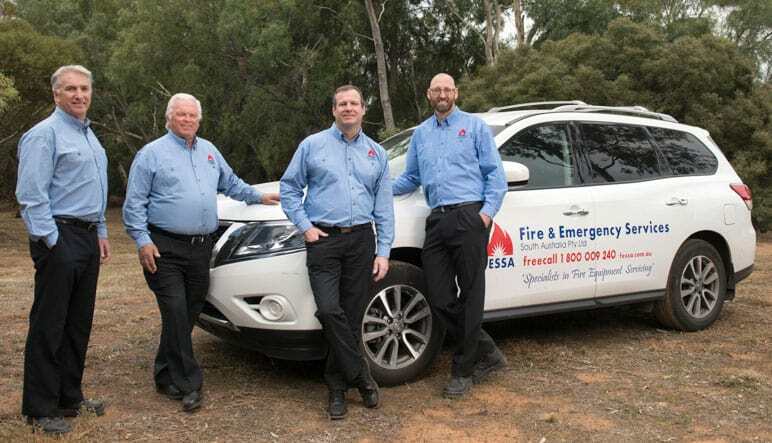 Bushfire response plan for the occupant of the vehicle if travelling in bushfire prone areas, which in South Australia is anyone travelling outside of the Adelaide metropolitan area. 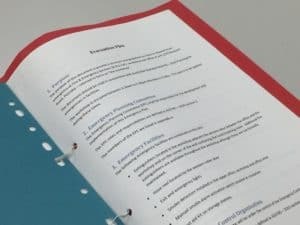 If you are struggling with what to include in a bushfire plan then review the CFS website or contact Fire & Emergency Services SA as we have our own templated bushfire plan for our service technicians. Fire & Emergency Services SA. So don’t wait until it’s too late, start reviewing the WHS facilities, procedures and training associated with your fleet of vehicles.